This week I’m going to start my post with an update. Usually I leave these until the end, but yesterday I received such an uplifting report about Brady, I can’t wait to share it with you. 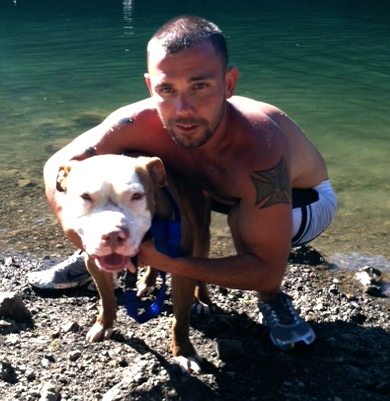 You’ll remember that Brady is one of the transfer dogs for whom WHS agreed to find an Oregon home. 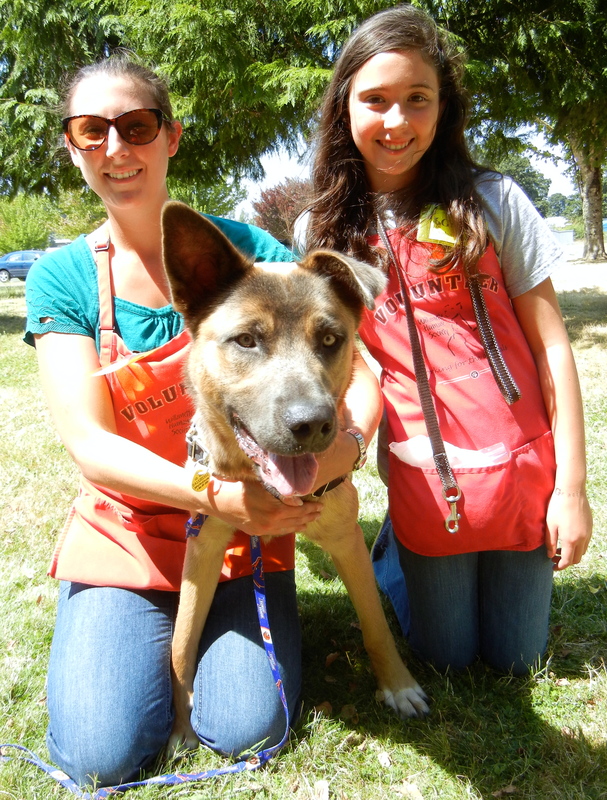 Brady’s story touched many staff and volunteers’ hearts because he had been in a California shelter for ten months waiting for an adopter who never came. Brady’s ever-hopeful attitude and the fact that he liked both other dogs and all people, quickly made him a favorite of everyone who met him. 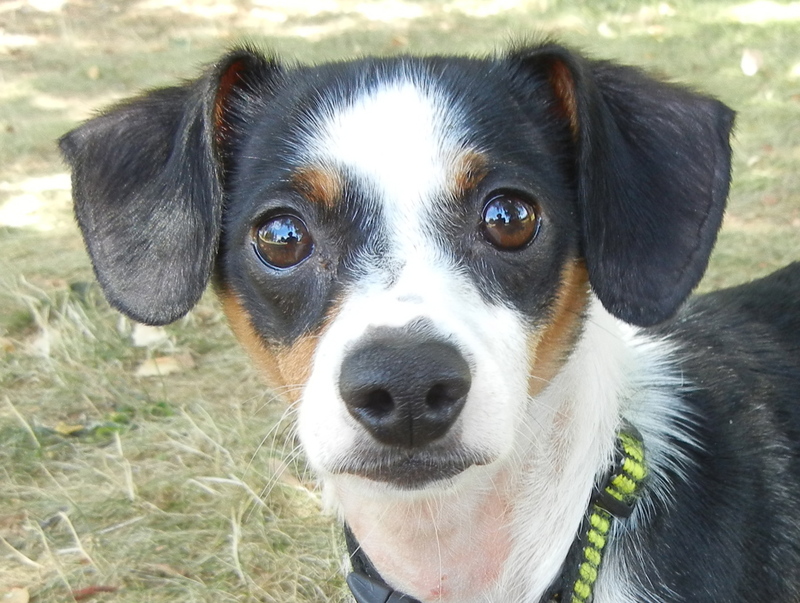 Within two weeks of his arrival at WHS, Brady was adopted. 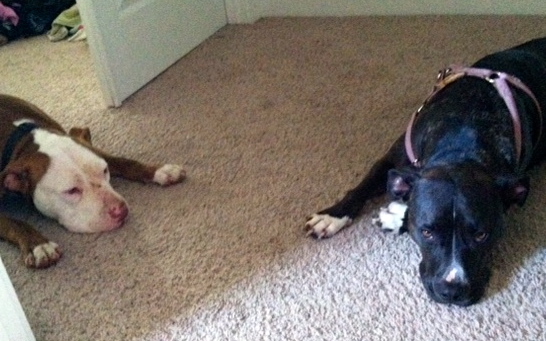 Here is what his life is like now as told by his new family. Talk about a happily-ever-after story! 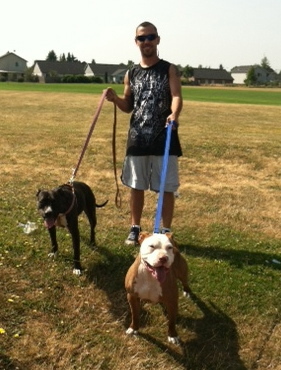 “Brady is getting along with the entire houseful & loves our active lifestyle. He is being spoiled 🙂 as he deserves it! He is such a great listener. We are very grateful to have found him. After losing our Suka a few weeks prior, to a liver tumor, Mya & we were very sad. The house was so quiet. Brady really was meant for us. We didn’t think we would get another dog for a long time, but when we went into WHS to adopt kittens, we fell in love with Brady’s face! He is so cute & playful! 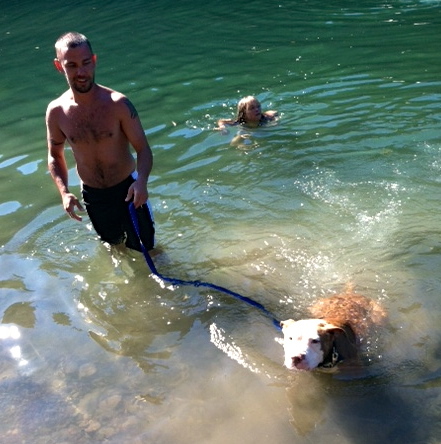 Mya does not enjoy the water so we were excited when we realized how much Brady enjoys a swim! He loves our evening family swims in the pool. We can’t thank the staff at WHS enough for introducing us to such a sweet boy!!! As I write this email, Brady is resting his head on my lap. I think he is ready for bed time cuddles 🙂 Our family is whole again! So much love. What a wonderful life Brady waited for so long. Thank you, Keppinger family, for giving Brady and the WHS staff and volunteers such a feeling of joy. I wanted to make a video of the incredible day we had at the WillaMutt Strut. I hope I am able to give you, my readers, a sense of the excitement and fun that participants felt. Already we are looking forward to an even bigger Strut next year! 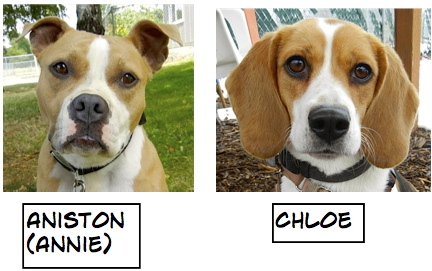 WHS continues to be busy with new adoptions, and included in last week’s successes were six Blog Dogs. 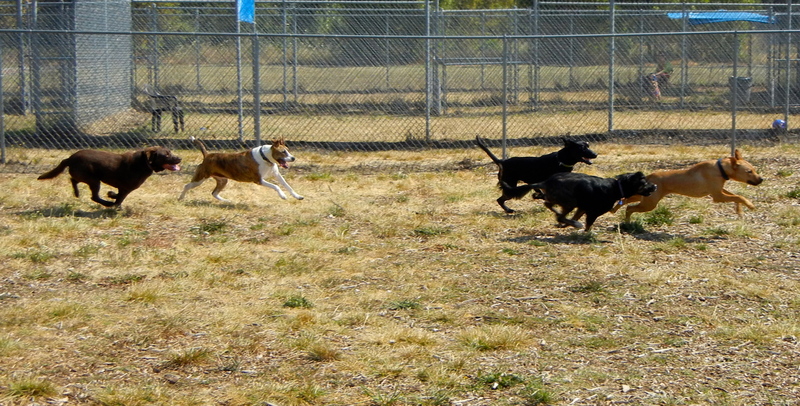 Sunday’s play group was a warm one, but it didn’t seem to bother the dogs. 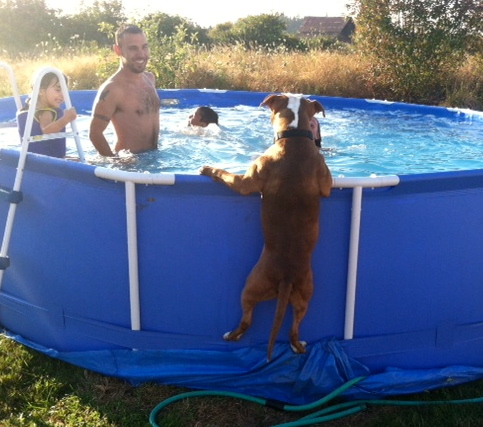 The pool was a favorite hangout. 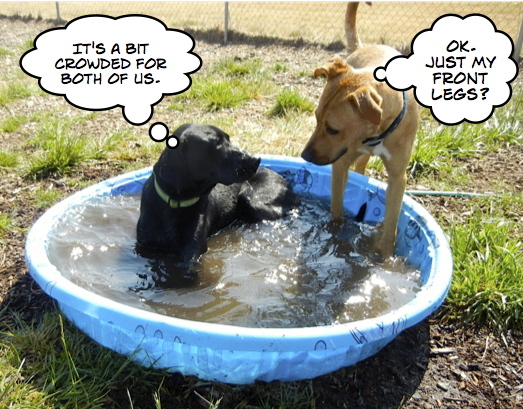 Gunner and Memphis shared some time in the pool. Zach and Cody (they’re brothers) both enjoyed the water. 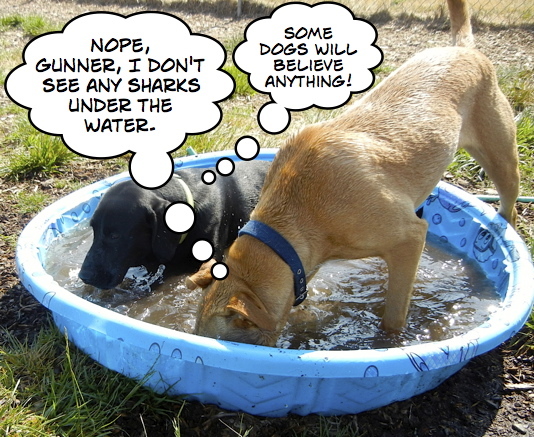 Gunner wasn’t sure he wanted to share the pool with Puma. 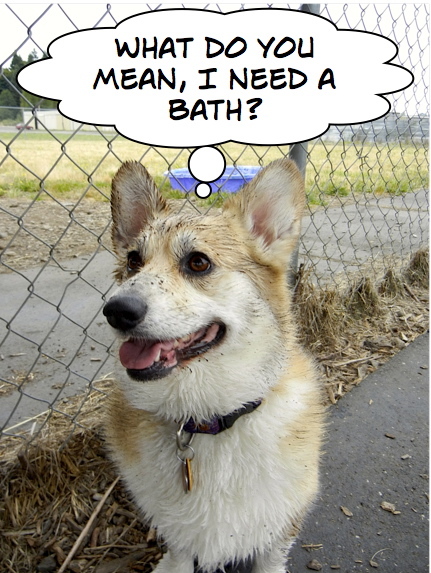 One of Favorite’s (Kim’s dog) activities is to jump in the pool, then roll in the dirt. Tyee didn’t seem aware of his size. 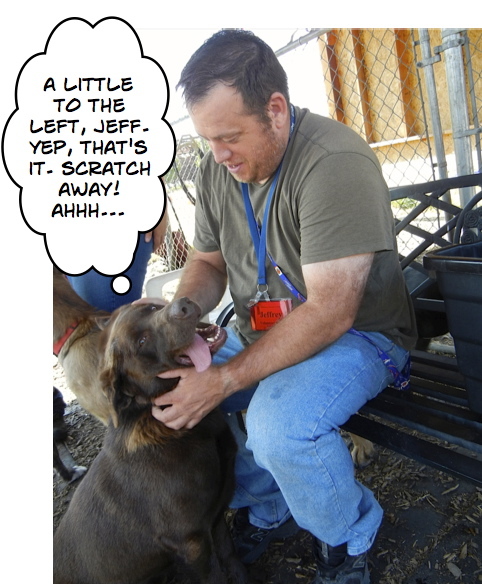 I’m not sure whether this is Cody or Zach, but he loved Jeff’s attention! No words are needed for this photo. 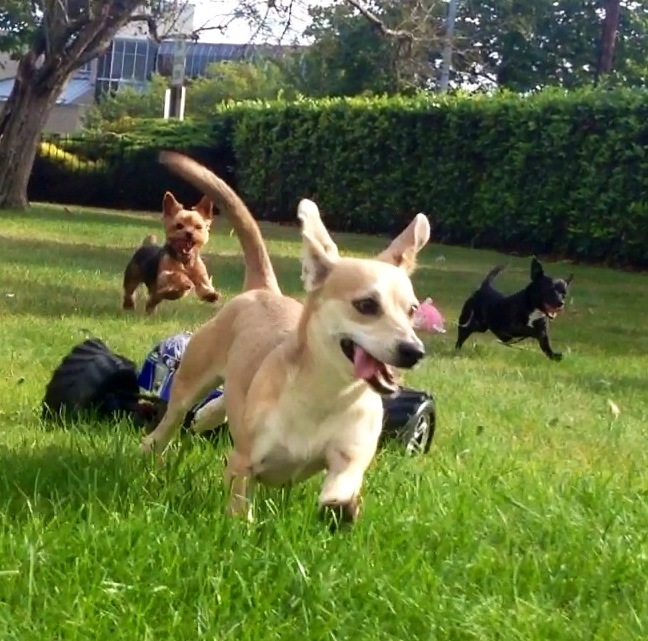 It is just pure dog joy. A girl in need of a home. 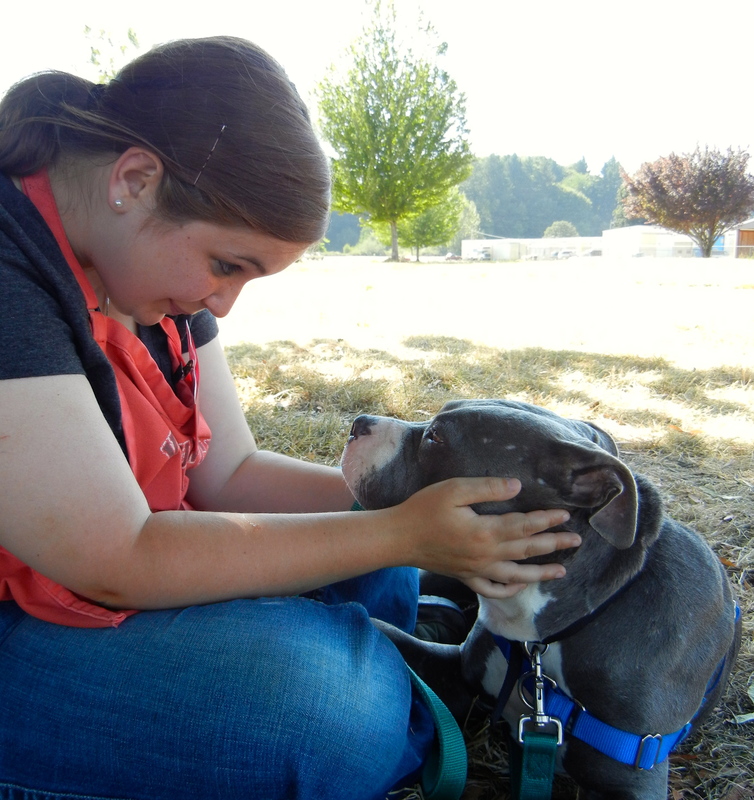 On Friday afternoon I spent some quality time with a new favorite of mine, Cassie Jones, a five-year-old Pit Bull Terrier mix. She has been at WHS since June 28. Here she is with volunteer Beth Anne. She loves hanging out and has gone on overnight respites with volunteer Lisa who reported she is wonderful in her home. Cassie has had some bad experiences with dogs and is fearful of them, so would do best as an only dog. She is very quiet in her kennel, but wriggles with excitement when you approach her. I asked Lisa for a note on Cassie’s time with her and this was her response. “Me and Cassie Jones. 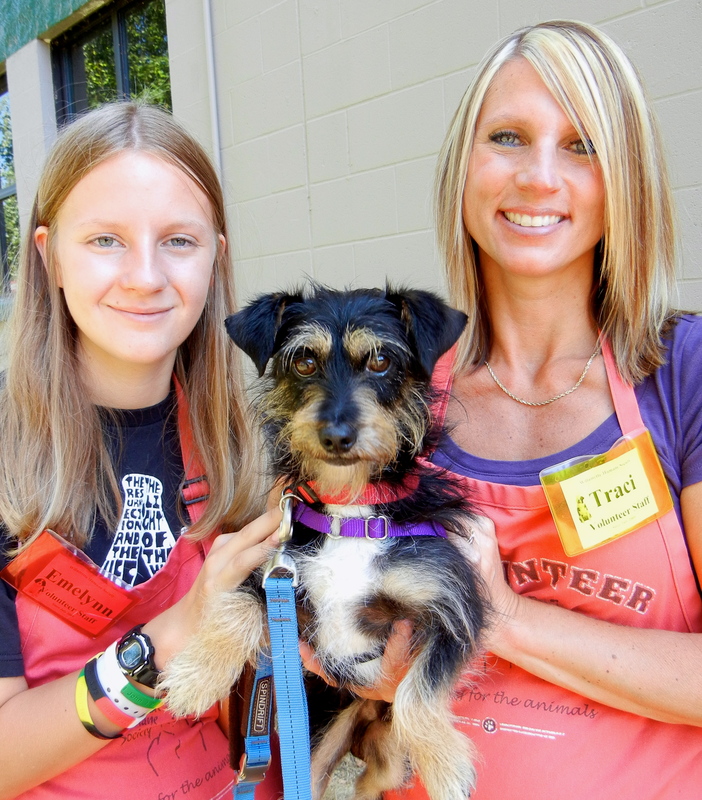 I met Cassie Jones by accident; well, it wasn’t really an accident–she occupies a kennel at the Humane Society and I am a weekly volunteer there. However, we might not have met at all had I not been looking for a dog to take on an hour-long jaunt in the park. 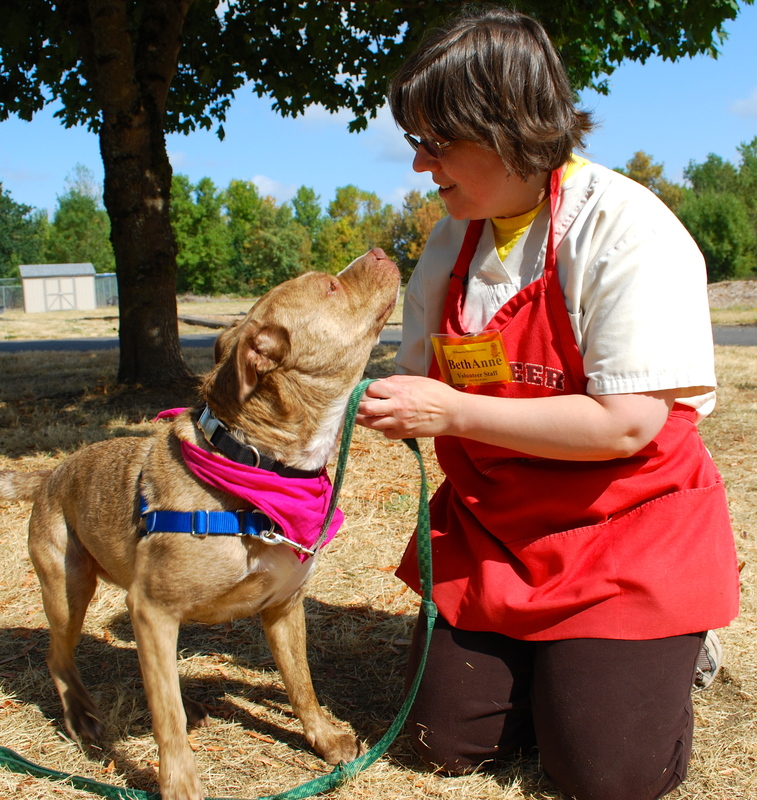 Cassie Jones had been in the Adoptable Dogs section the longest, and she had the most stressed-out look on her face, so she was the one. In the park, I lost track of the time and realized if I didn’t leave immediately, I would be late for an afternoon appointment. So, back into the car we went, and we shot off together for the next thing on my agenda. Long story short: an hour turned into an overnight, and one day turned into two. 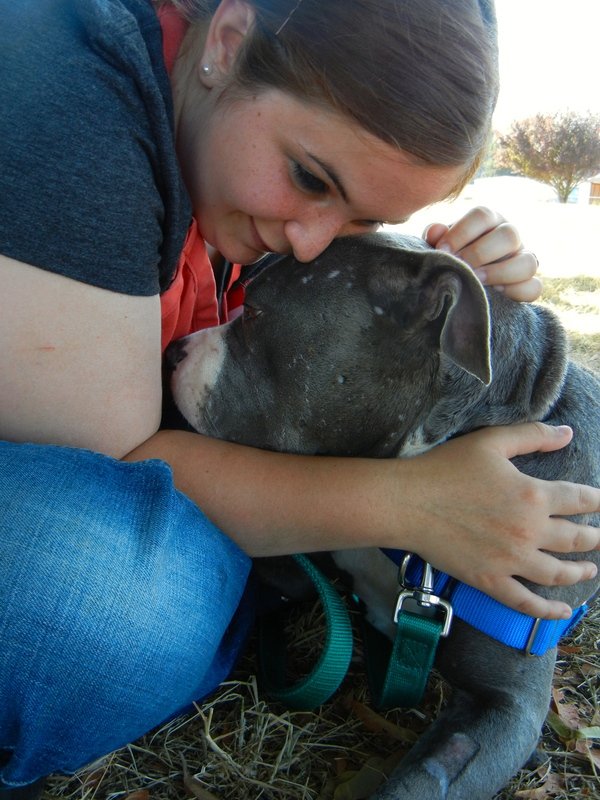 By the morning of the third day I found myself tearfully dragging a whimpering Cassie back to her old kennel, with a promise that her forever family would come and get her any day. Lisa and Cassie Jones this afternoon at Detroit Lake. Sunday afternoon I was able to snap some pictures of happy walkers and their dogs. 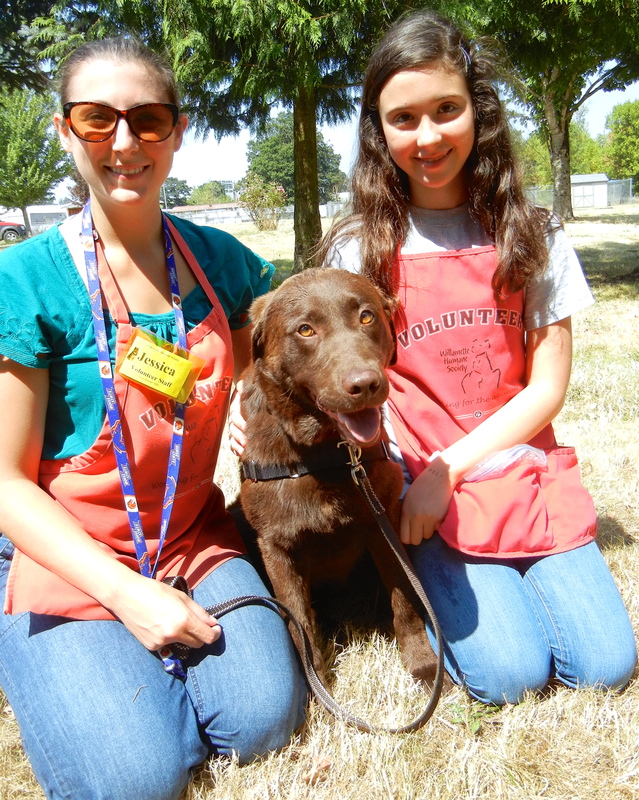 Here is Zach with volunteers Jessica and Gracie. Zach is a four-year-old Lab mix who is an all-around swell dog. He loves people, had a great time in play group, and enjoyed my hot dog treats. 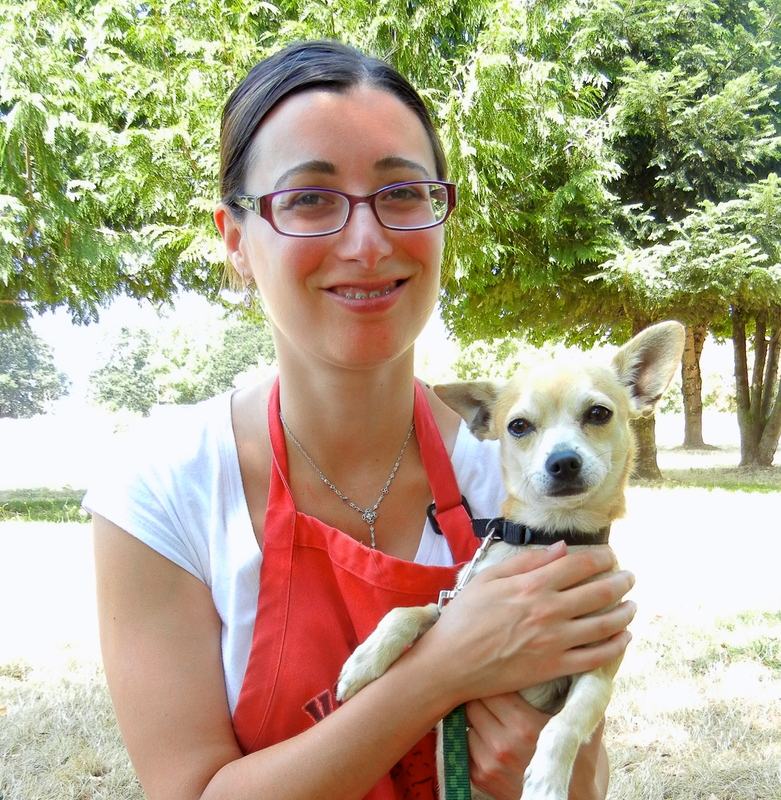 Volunteer Amey spent some time with Ceviche, a one-year-old Chihuahua mix who is a well-mannered, playful little guy who would be great for a first-time dog owner. He loves to play and is tolerant. He had a great time in play group. 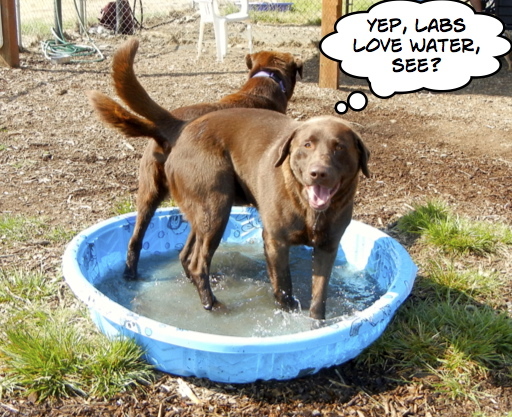 No, you’re not seeing double, this is Zach’s brother, Cody, a four-year-old Lab mix who, like is brother, is an overall great, uncomplicated, happy-go-lucky dog. 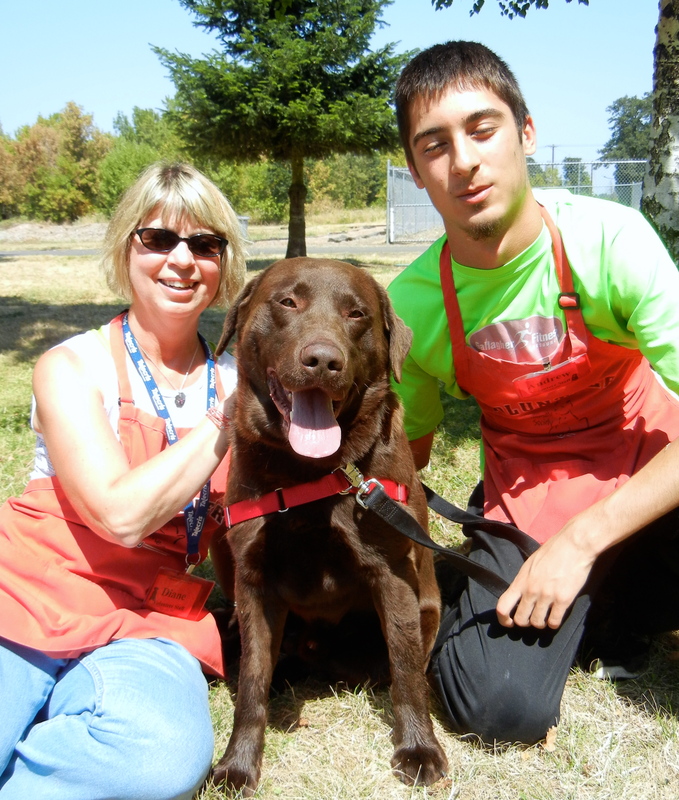 He enjoyed his time with volunteers Diane and Andrew. Don’t be put off by the size of this sweet dog. 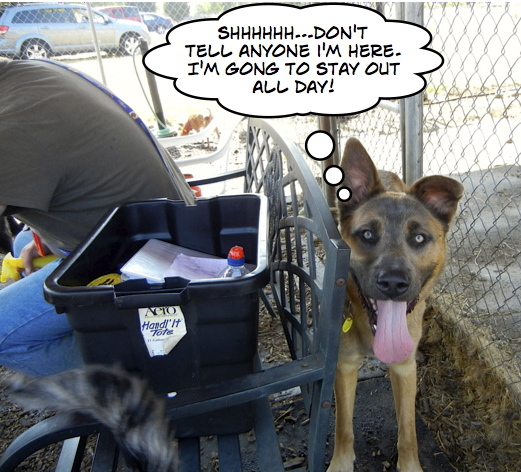 His name is Tyee, and he is an eleven-month-old Shepherd/Mastiff mix. 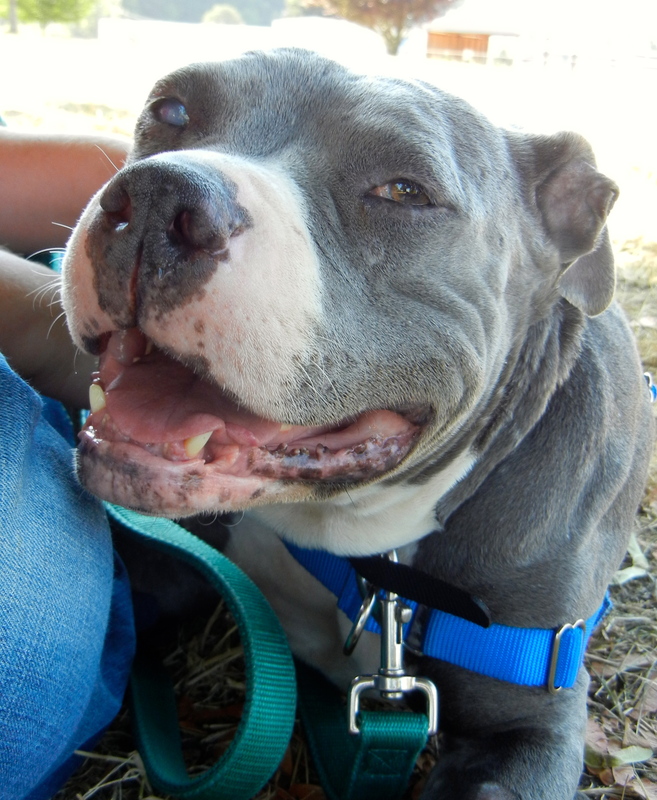 While he can be quite exuberant when he first gets out of his kennel, he quickly settles down and is a gentle giant. He would love to attend some training classes at WHS, as he’s still a puppy at heart. He does great in play group and loves everybody. It wasn’t hard for Emelynn to pick her favorite dog today. 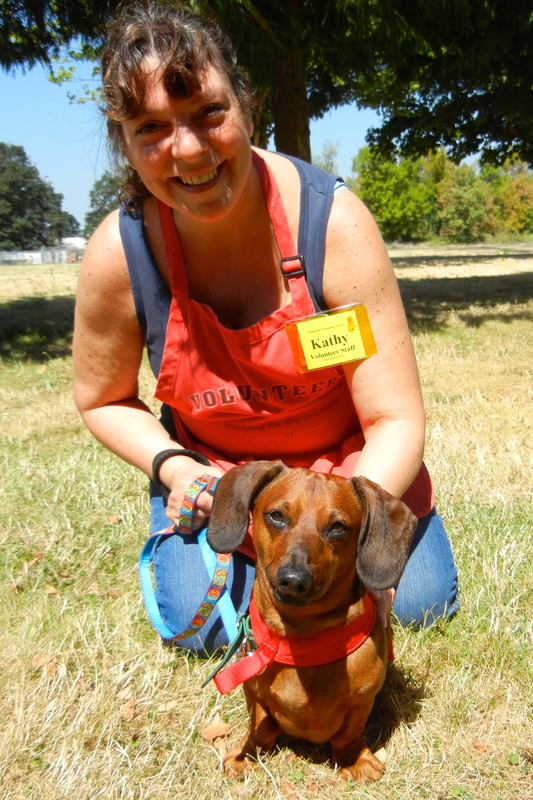 Here she and Traci are with Wilbur, a two-year-old Miniature Dachshund mix who is one active little dog. He has such an expressive face! 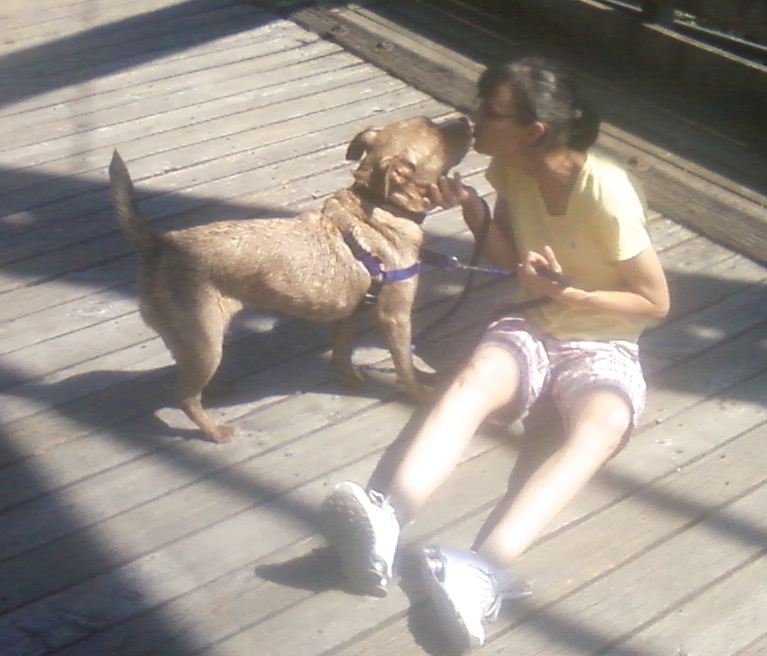 Wilbur did fine taking a walk, but really showed his playful side when Traci and Emelynn took him into a yard. It turns out Wilbur is a BALL DOG! He was absolutely thrilled to chase a tennis ball and return it, dropping it politely. 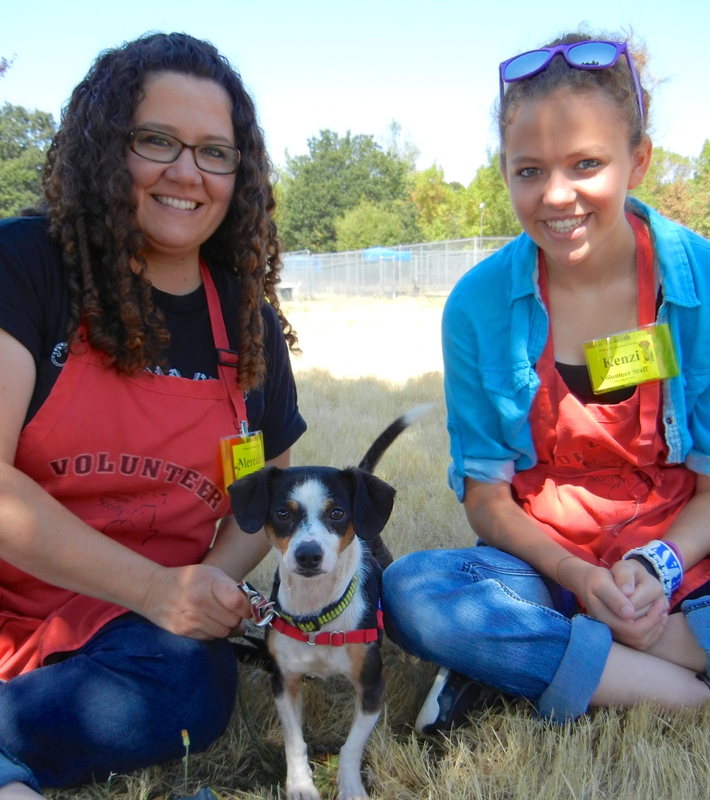 Wilbur came to WHS as a stray, so little is known about him. But he quickly won two hearts this afternoon! 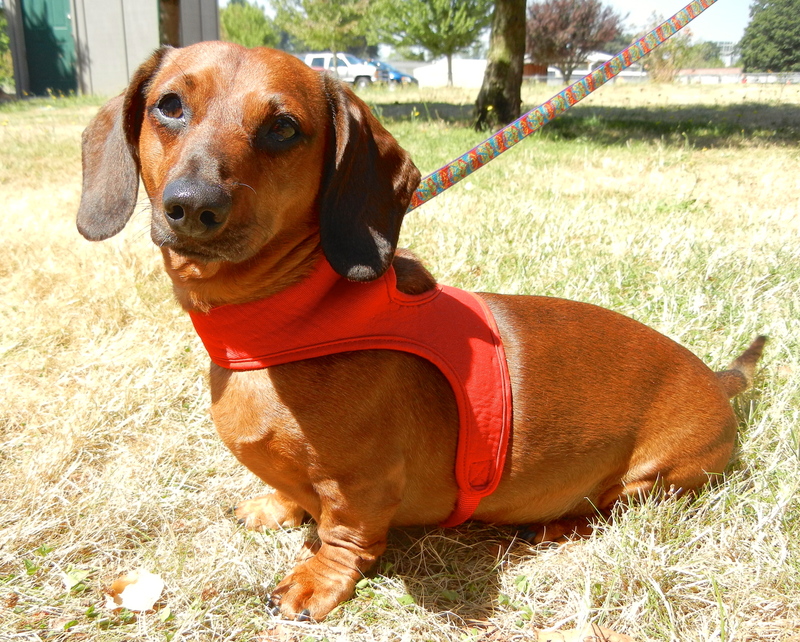 Meet Hurley, a seven-year-old Standard Dachshund mix. This boy is one of the most well-mannered dogs I’ve met. 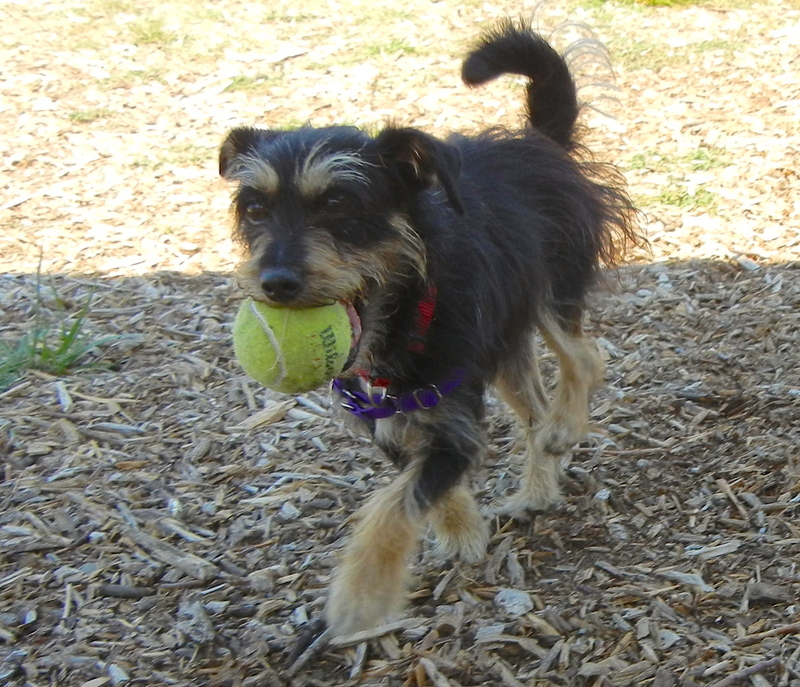 He walks well on leash, posed happily for pictures, took treats politely and has a beautiful silky coat. He’ll do well with kids and be an overall great family member! Volunteer Kathy couldn’t say enough good things about this boy. See what I mean about posing? Looking for someone to cuddle with? I’m your dog! Meredith and Kenzi discovered that Ferris‘ favorite thing to do is to be a lap dog. He absolutely loves to hang out and be petted. 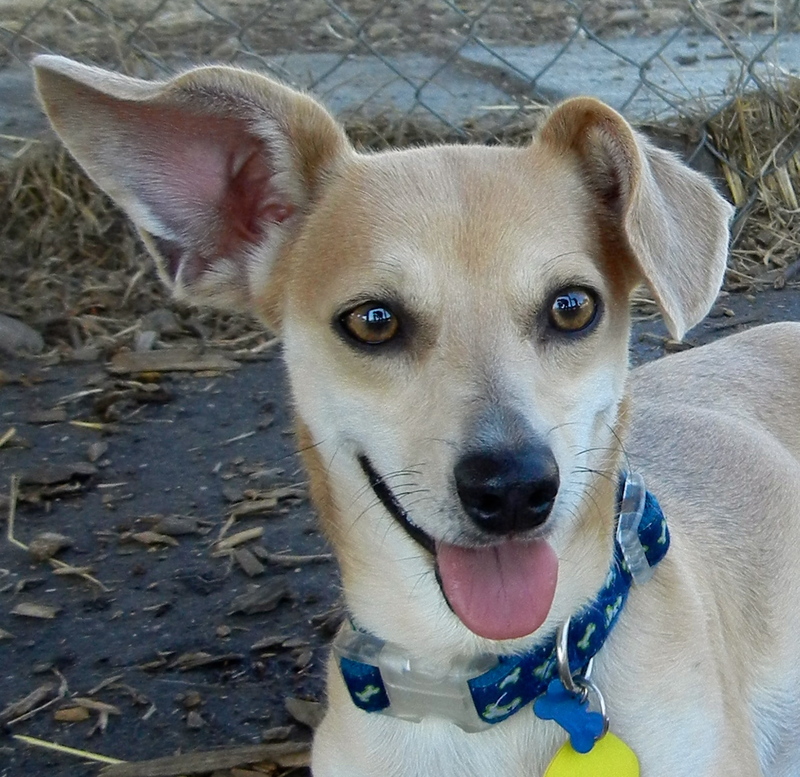 Ferris is a four-year-old Chihuahua mix who may act a little shy at first, but soon is basking in your attention. I’m new here, hoping for a better life. I saved Sarah and my favorite new arrival for last today. 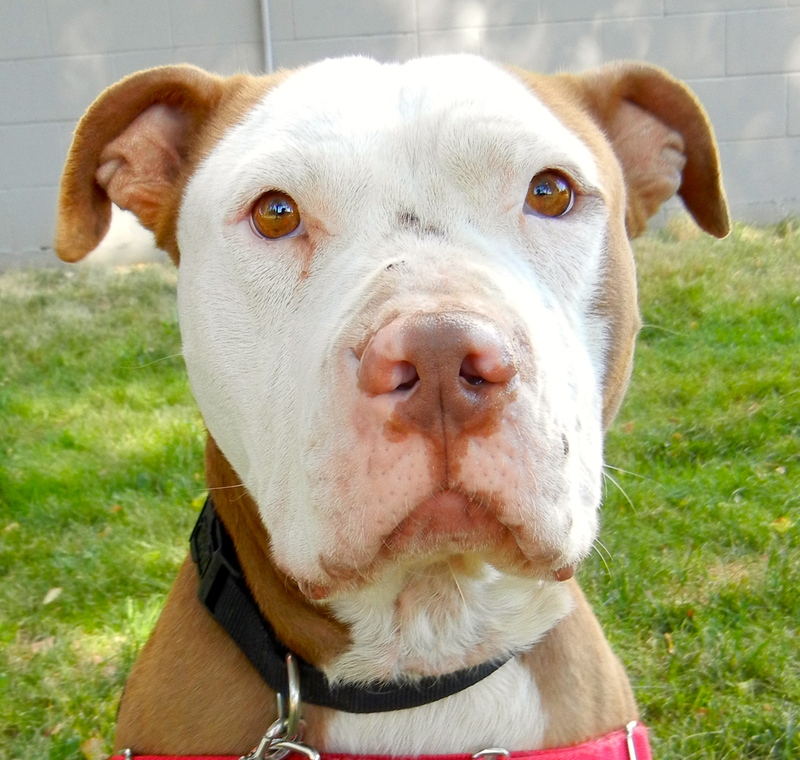 Her name is Daisy and she is a six-year-old American Pit Bull Terrier mix. She came in with a group of dogs brought to us by the wonderful S.T.A.R.T. 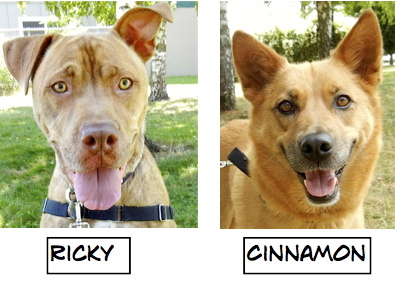 people who rescue dogs from high-kill California shelters. 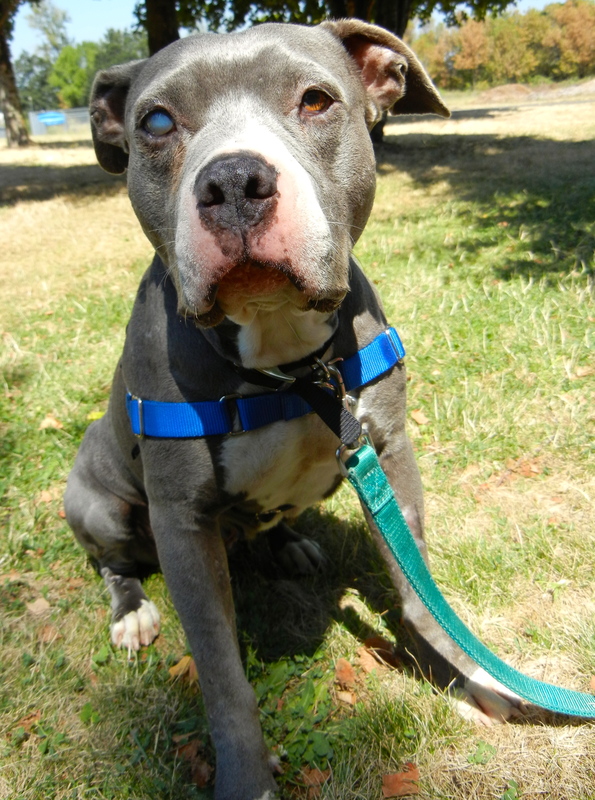 Daisy can’t tell us what her life has been up until she arrived in Oregon, but her scars and blind right eye are indicators that she has had a rough life. But whatever has happened in her six years, she has not lost her faith in people. She is a gentle soul. 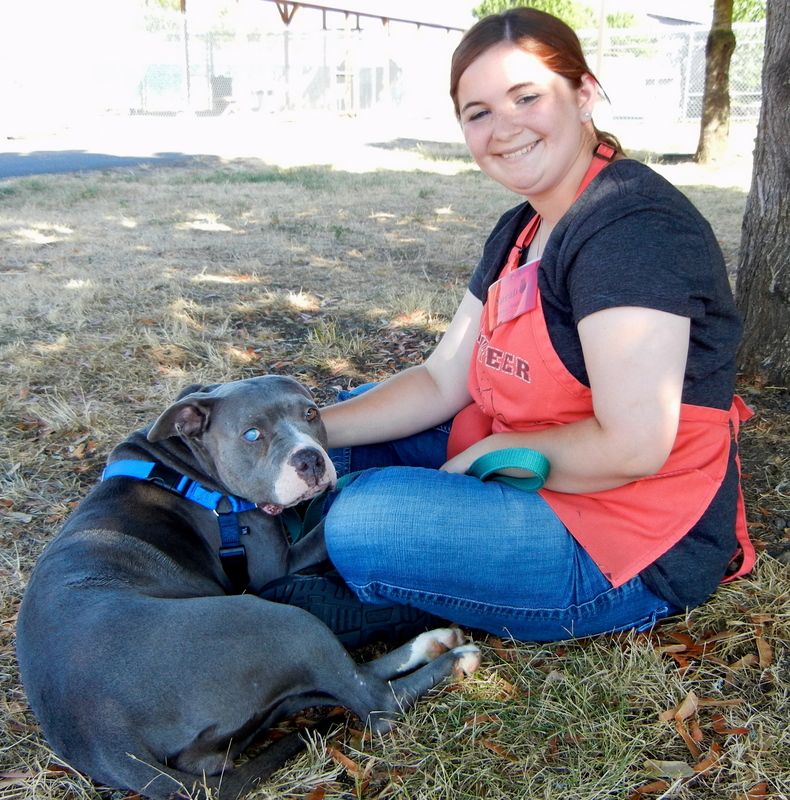 Volunteer Sarah has spent quite a bit of time with Daisy since her arrival and says that Daisy simply wants to be close to people. She’ll even nudge your hand to encourage your touch. 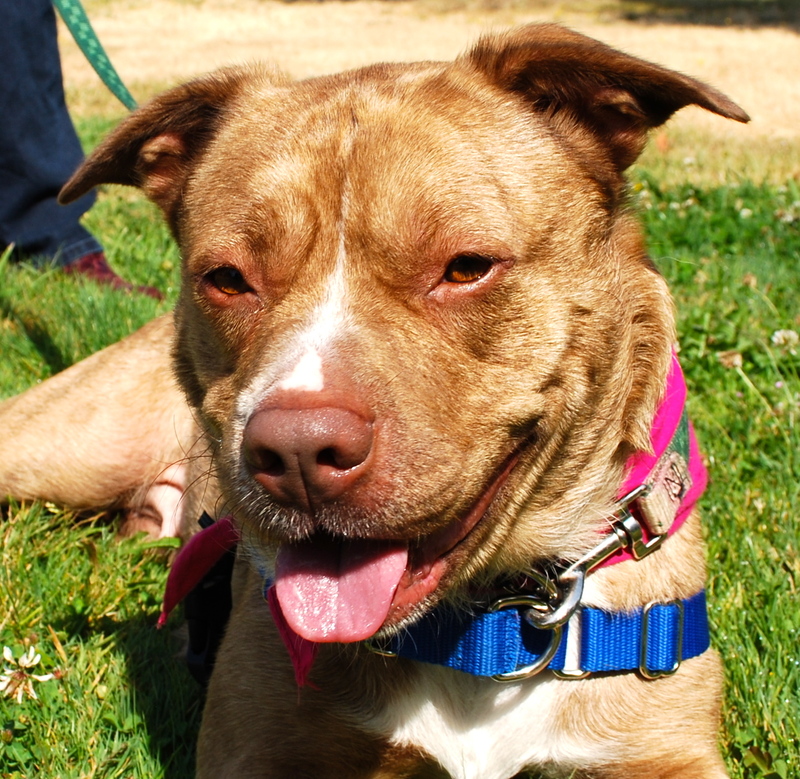 We’ll never know about Daisy’s past, but we are determined to give her a bright and happy future. Remember Choji? The little girl who starred in her own play-group movie because she was such a racer? 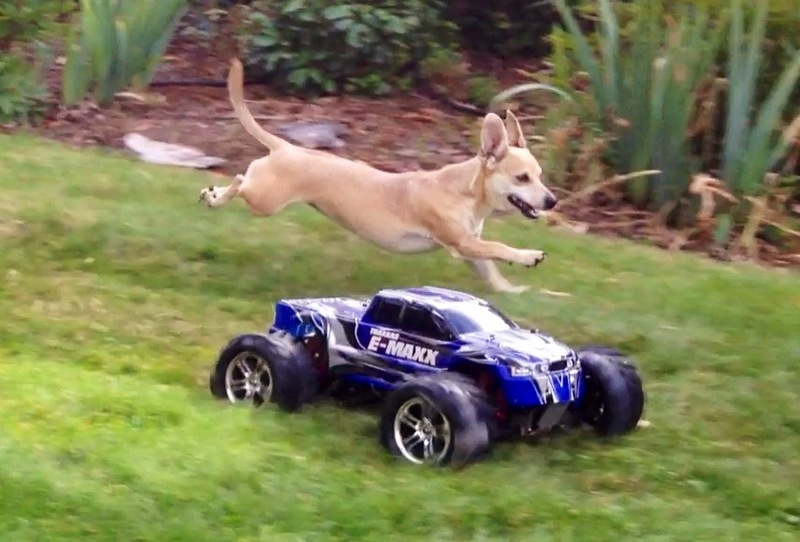 Well, as you’ll see below, she hasn’t stopped running for a second! Here she is in her new family. Her person, Becky, reports that she continues to be a star. On that happy note, I’ll close for this week. What a great job on the video; wonderful editing and great music choices. 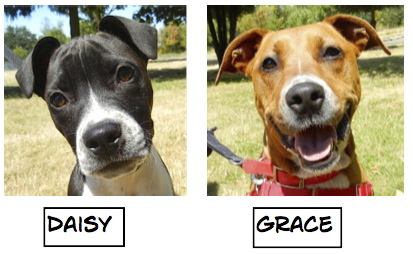 Wonderful way to summarize the great Mutt Strut . The happy ending stories were great also. Love to see that Aniston found a home! We really liked her too. I enjoy following your blog! Thank you for sharing. 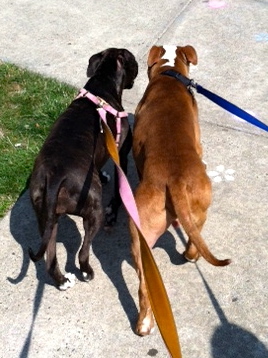 & I can’t wait to get good news about Daisy finding a home. She looks so sweet.